This Baby Printing Press Package contains essential printmaking equipment from Jack Richeson. The press has 10.75 inch wide rollers and a bed that measures 11.75 x 19.75, with a maximum print sizes is 9.5 x 18 inches. Ideal for a variety of printmaking techniques including etching, block and mono-printing. Made of cast iron. 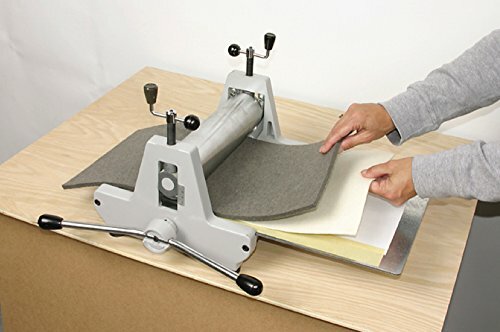 A Baby press-sized steel plate and gray cushion are also included in this package. If you have any questions about this product by Blick, contact us by completing and submitting the form below. If you are looking for a specif part number, please include it with your message.